Top car removals company in melbourne region. If you want to get rid of your car, then we provide the most suitable and best Car Removal service for you. Where we offer ‘Cash for Car Removal’ service for removal of damaged, junk, scrap and unwanted cars. We offer cash up to $50,000 with free towing of your car. Moreover, we buy all cars, vans, trucks, 4wds in Melbourne for cash. Any make and model with any year. We don’t hesitate to remove your car with free pickup and hence we offer cash for it. Doesn’t matter its running not running. Our aim is to remove your salvage car. 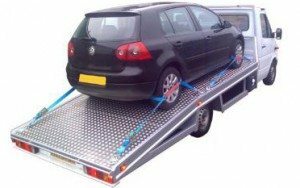 Ezy Car Removal Melbourne Company specializes in removing all types of scrap vehicles like 4wds, vans, trucks, utes and even boats and pay top cash for removal up to $50,000. Not only committed to giving you a fast and friendly service, we’re also a specialist in the field, owning the largest network of leading vehicle recyclers. Gone are the days when you would need to go through the different directories, calling every scrap buyers and being put on hold for hours. just in order to obtain good price for car scrap. And after a lot of time spend, you were only able to get few dollars. Now, we have our services doing all for you e.g saving time, paying good money and offering free removal for your car. Luckily, now with ‘Ezy Car Removals’ collectors, one phone call will do it all for you. You’ll get all in one place. Cash in your pocket for a scrap car that you don’t want anymore. We pay cash up to $9999 for used cars, vans, trucks, 4wds. We offer free car removal service for used, old, damaged car, scrap metals and unwanted cars. Sell your used, old, scrap, unwanted car, van, truck, ute or 4×4 for wrecking. We buy and pay cash for all makes and models of trucks for wrecking. Our aim is to buy every scrap vehicle that is no more road worthy. So, you may have a scrap vehicle that may be damaged, not derivable, not running or parked in your garage due to mechanical issues. To get it done on road again, you may require a good amount of money. This includes free scrap vehicle pick up and towing from anywhere. Moreover, we also do transfer paperwork free of cost. • You will get a decent money in your pocket on the day of collection of your junk car. It’s that simple! In addition to these, we buy Ford, Holden, BMW, Mercedes Benz, Citroen, Daewoo, Kia, Alpha Romeo as well.